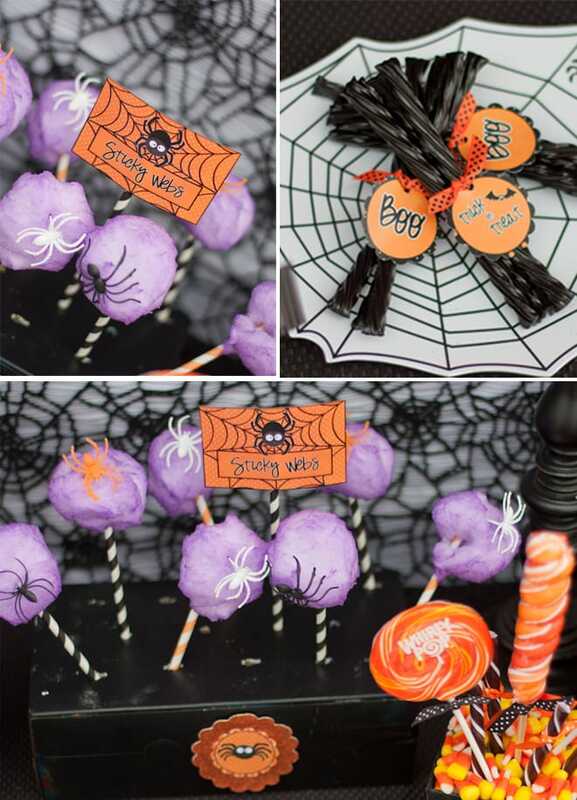 Spiders, spiders everywhere, it’s a Spooktacular Halloween party submitted by Giggles Galore! 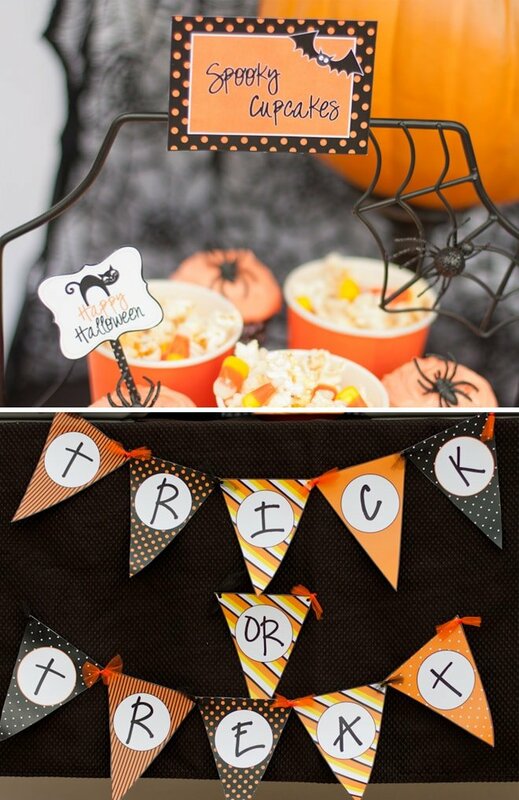 This classic black and orange Halloween party features creepy crawly (but super cute) printables from Swish Designs. Mariah focused on the darling spider in the printable package and the traditional orange and black color scheme. 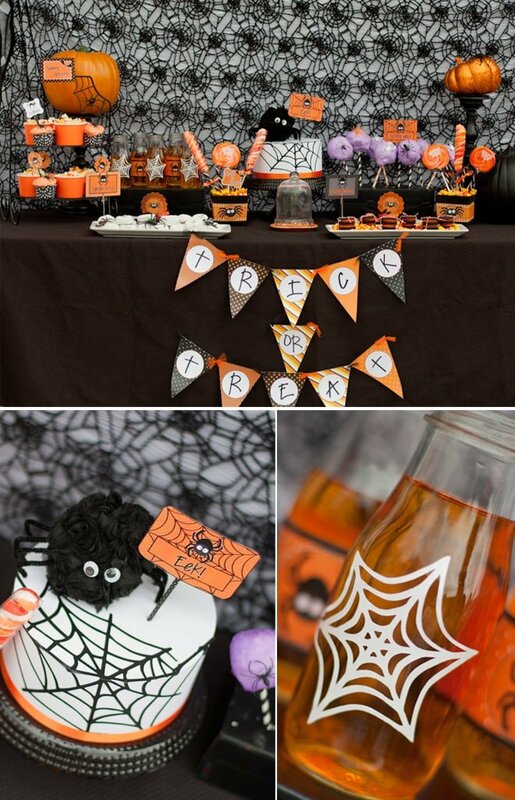 A lace spider web table cloth layered over a white table cloth created the spooky backdrop and everything else stood out against the black table cloth on the dessert table. I love it! I’m so ready for Halloween now!! This party is just TOO CUTE! Sweet! Magazine + How to Achieve a Perfectly Smooth Cake! 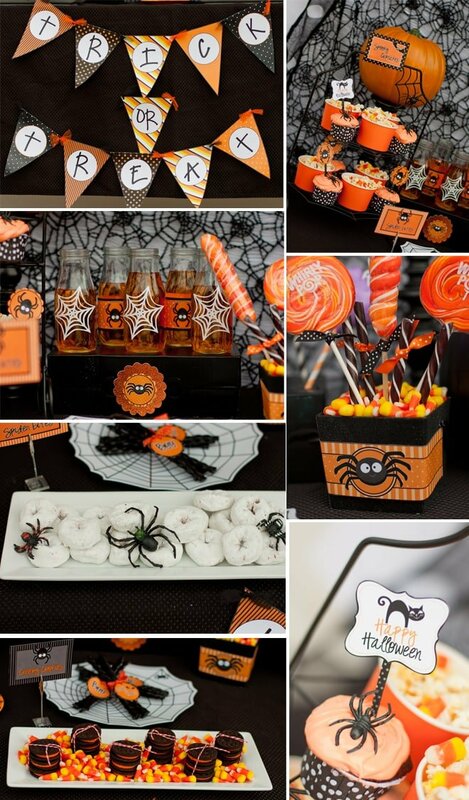 Thanks for showing off my Spooktacular Halloween Party! Love it! Looks amazing! How did you get the cotton candy to stick to straws? I am so glad I seen this. My Daughter who is turning 30 is going to get a BIG Surprise when she cuts into her Cake. Spiders! She loves Halloween and when she got Married 2 years ago, Halloween was the theme. It will be a Spooktacular Birthday Party. Thank you for Sharing.